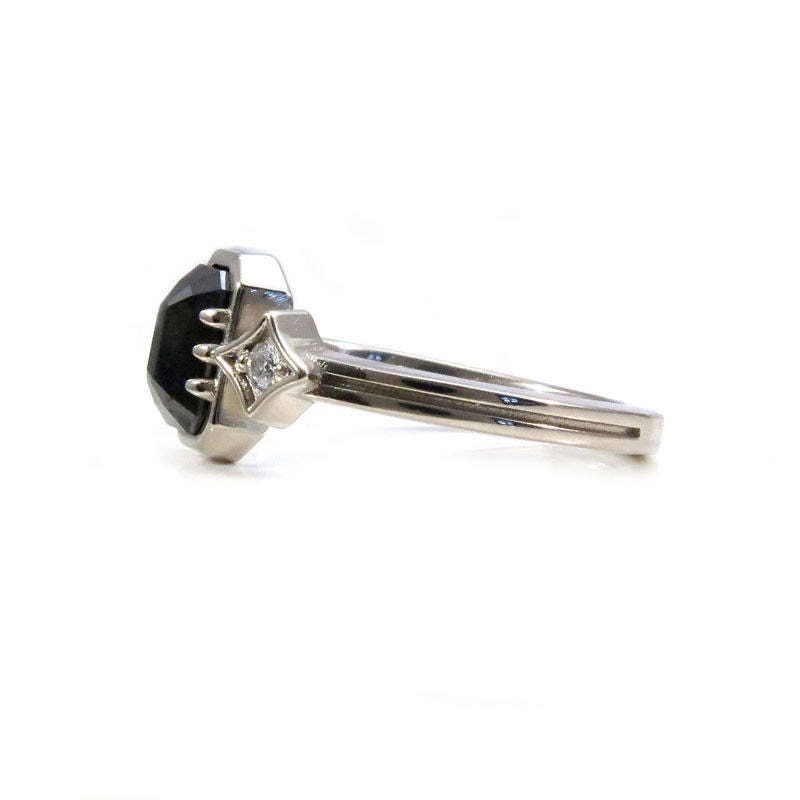 This engagement ring has a gorgeous Emerald Rose Cut black diamond in the center of two white diamonds. 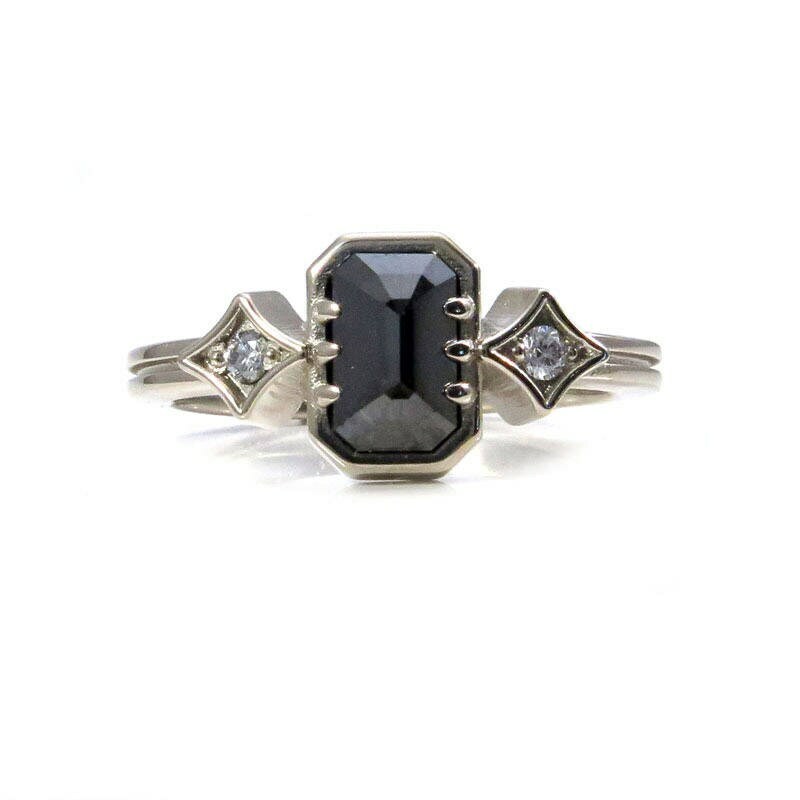 It is a modern take on the traditional three stone ring meant to represent the past, present and future. The band is the two paths band, again to represent two paths as one. There is a matching mens band in my shop. 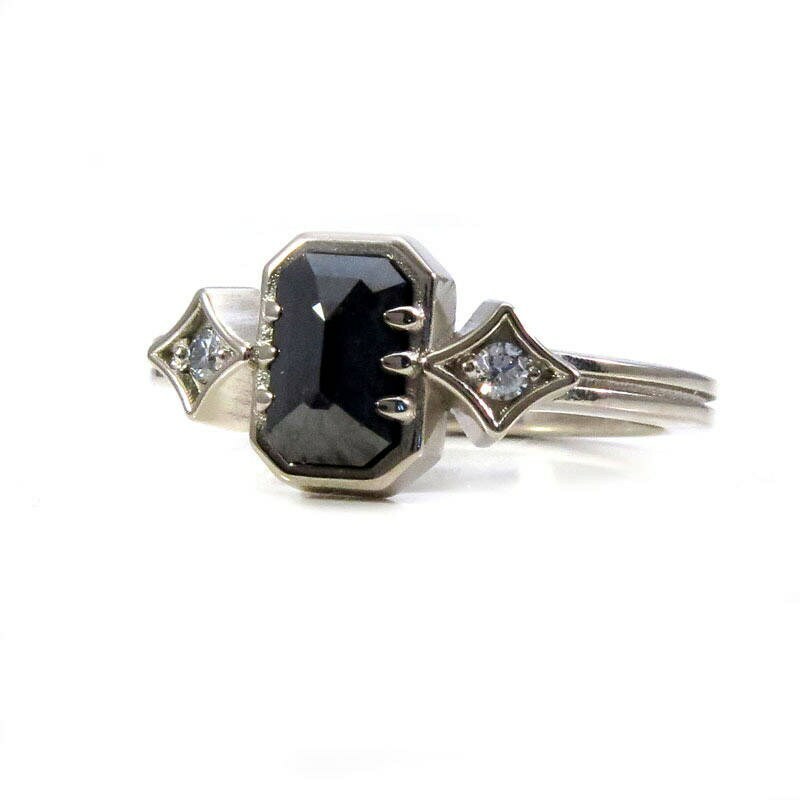 The black diamond shown in the photos is #6 and 1.41 carats, that ring has sold. 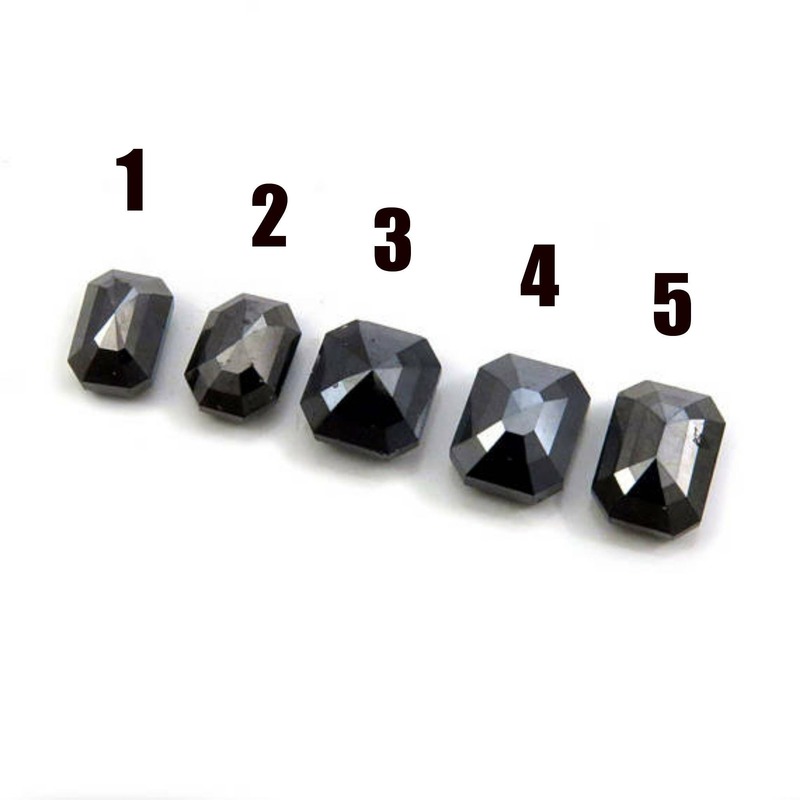 There are 5 more diamond options shown in the photo. I have the spec's on each on below. 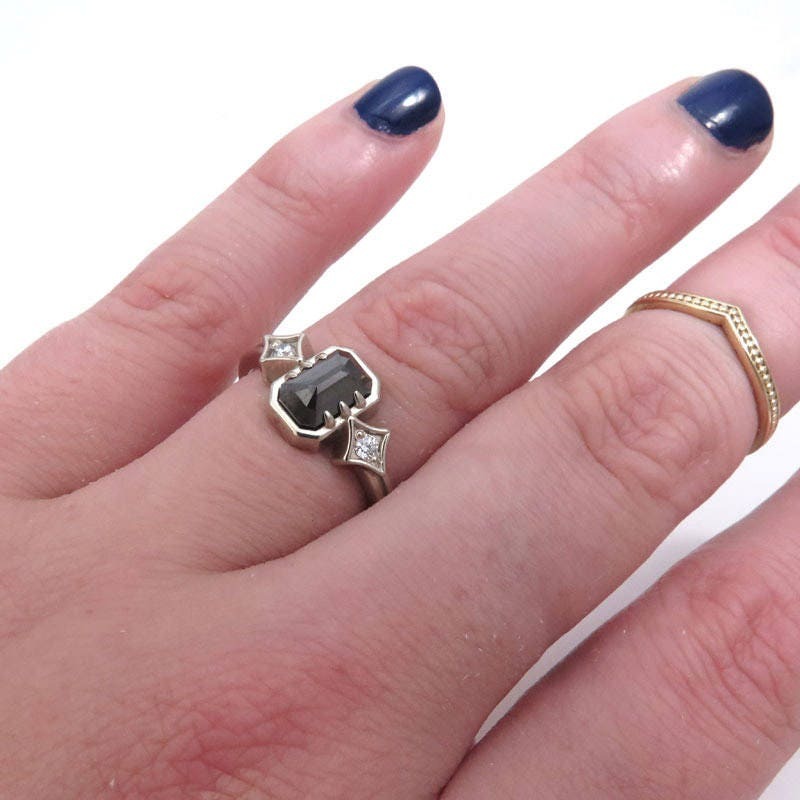 This ring can also be made in 14k rose or yellow gold. The ring in the photos is 9.5mm's long and the band is 2.2mm's wide.